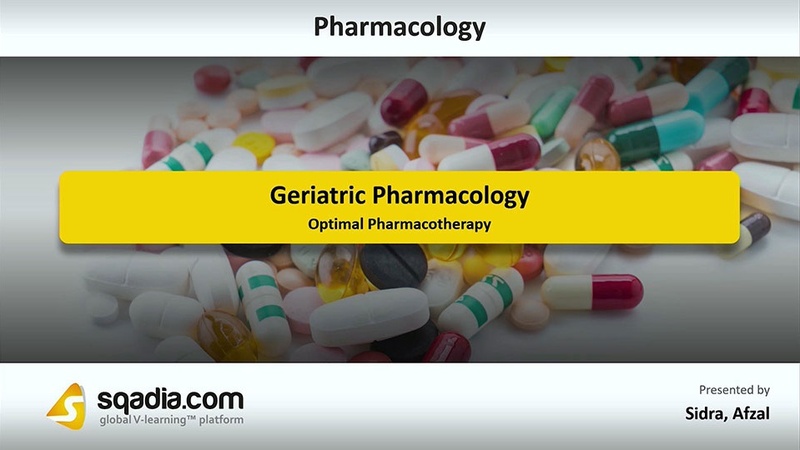 This lecture delivers extensive information about the topic Geriatric Pharmacology. Section one is about Pharmacokinetic Changes in the elderly patients. Initially, the term geriatrics is comprehensively defined and geriatric pharmacology is then introduced. After that, the diseases with increased incidence in elderly are mentioned. The educator then focuses on the physiological changes of aging, and the techniques for estimating GFR and determining creatinine clearance in elderly patients. The pharmacokinetic changes with age and its effect on absorption, distribution, metabolism and elimination, is then made the subject of discussion. 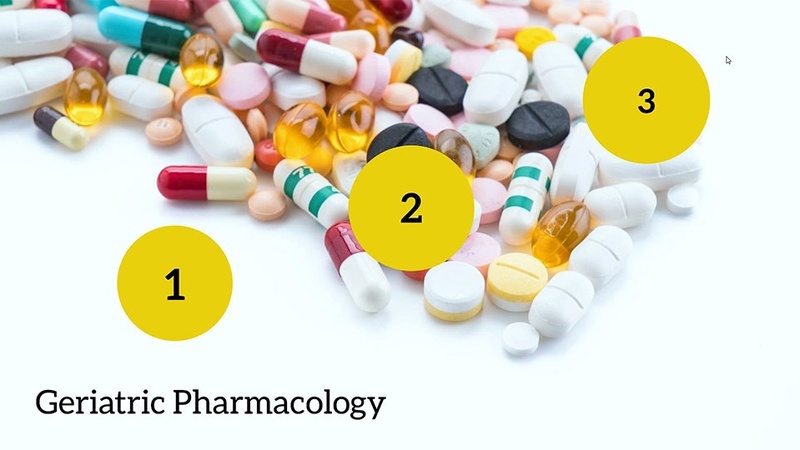 Section two is dedicated to the discussion of Pharmacodynamic Changes. The pharmacodynamic changes and other age related changes are introduced in the start of this section. Behavioral and lifestyle changes of the elderly are then demonstrated. The educator then states some reasons for increase adverse drug reaction and factors contributing to ADRs in elderly patients. Lastly, the economic factors and polypharmacy are explained. Section three is about the Optimal Pharmacotherapy for elderly. In the beginning, some major drug groups which require monitoring are mentioned. Firstly, the educator discusses the sedative hypnotics, analgesics, antipsychotics and antidepressants. Moving forward, she also explains the use of antiarrhythmic drugs and antimicrobial agents in the elderly population. The patient risk factors for ADEs are also reported in this section. Next comes the drug-drug interactions and some common drug-drug interactions in old people. Some basic principles to prescribe the elderly patients are then stated. Measures to prevent polypharmacy are also given. The compliance to medications and enhanced medicine adherence is elaborated towards the end of this lecture.